Cap Sante Boat Haven glows on a sunny, calm late September day. 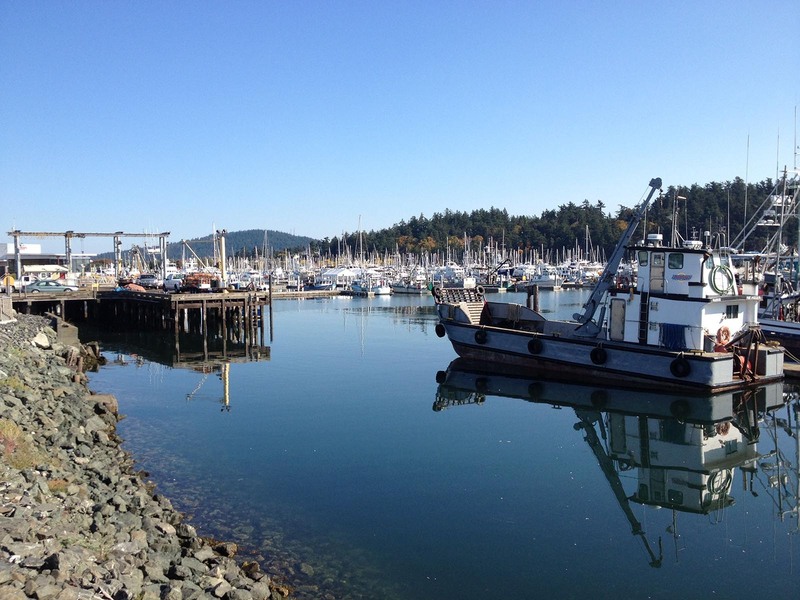 After our September cruising, we stayed on board Phoenix in Anacortes Marina to finish the annual exterior maintenance of waxing and polishing, and get the boat ready to sit over the winter. This year we were lucky to have the long stretch of dry weather continue through the rest of September and into October. Quite unusual for this time of year, and we were grateful that we didn’t have to dodge wet weather for our outside projects! Street view of a few of the vendor booths at the 2012 Anacortes Arts Festival. 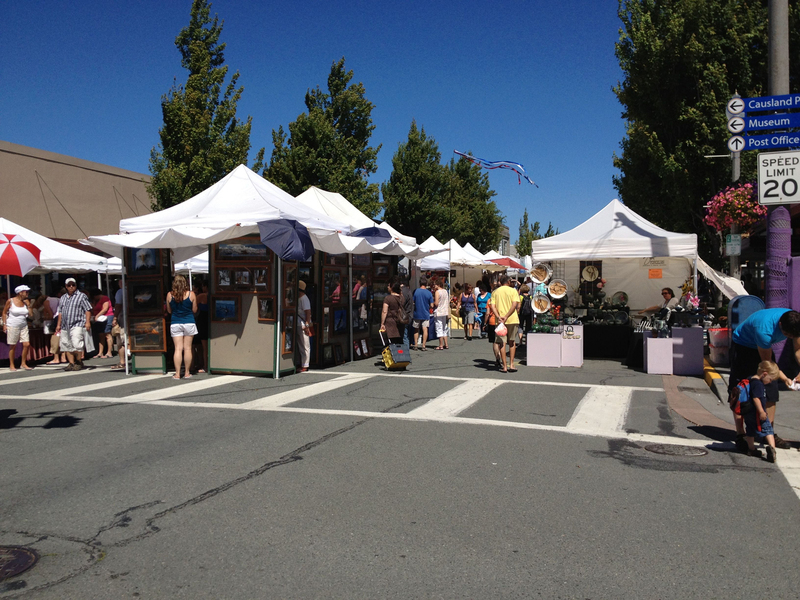 The 2012 Anacortes Arts Festival was held last weekend, August 3, 4, and 5. 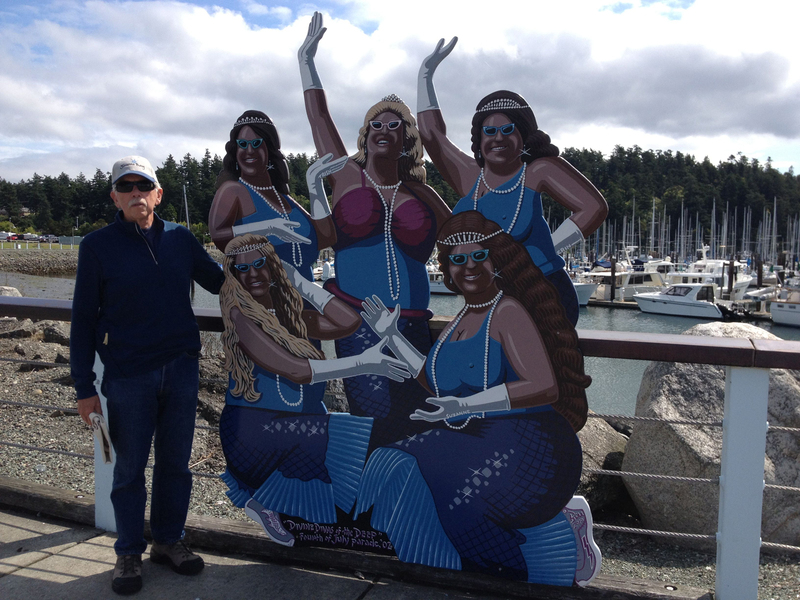 Since the festival sets up in downtown Anacortes, it is walking distance from Anacortes Marina, and we had a good opportunity to visit and walk through the vendor booths without having to deal with the limited parking space. 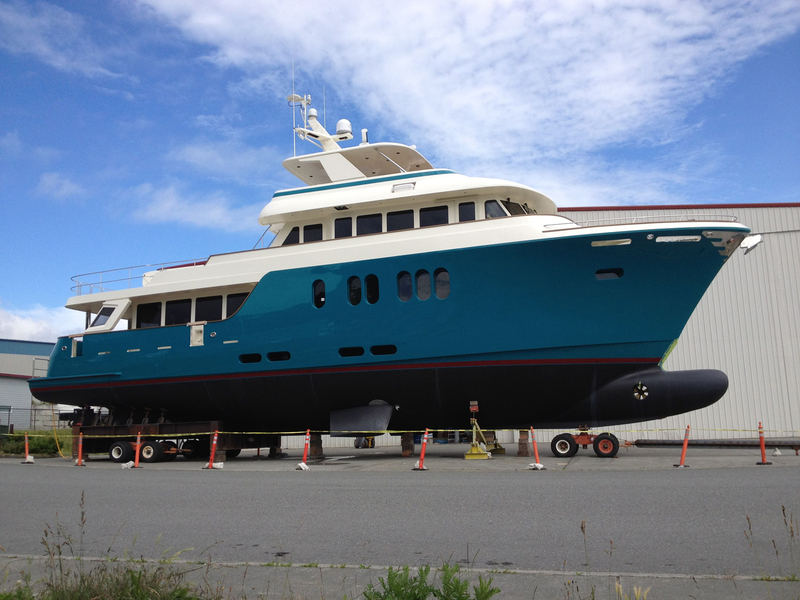 As we walked along the Tommy Thompson Trail in June, we saw this gorgeous new Northern Marine yacht being finished outside Northern Marine’s Anacortes facility. 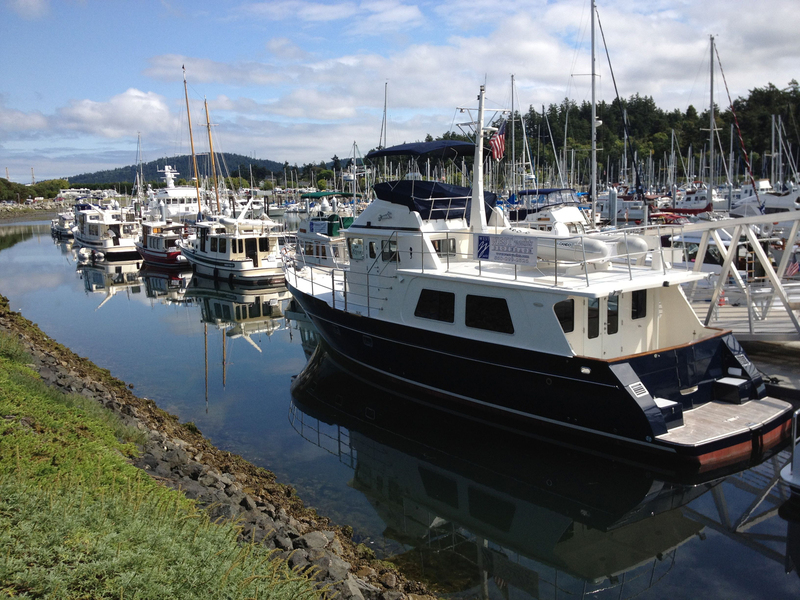 Over the past 10-15 years, Northern Marine in Anacortes has built several long-range luxury cruising yachts, starting with their first boat, the 64-foot Spirit of Zopilote, which they built for Bruce Kessler. I had the privilege of meeting Bruce and talking with the Northern Marine founders in 1995 when I was working to help launch PassageMaker Magazine. Jim and friends celebrate his successful eye surgery. It’s now been 4 weeks since Jim had cataract surgery on his right eye, and this week he went back to have the cataract removed from his left eye. So, we made two trips between Anacortes and Seattle – one on Thursday to have the procedure, and another trip on Friday for a post-surgery exam. Both trips were longer than we expected due to traffic volume. Thursday was a beautiful sunny day, and it seems there were lots of people out on the freeway going who knows where…or possibly there are a lot of people vacationing in Seattle. Whatever the reason, I-5 southbound became a parking lot and we ended up leaving the freeway at Northgate and taking surface roads the rest of the way to downtown Seattle. On Friday, we woke to another thunderstorm and very heavy rain. We had to be in Seattle before noon for the follow-up exam, and we found the freeway jammed again – this time from the heavy rain and all the water that had accumulated on the roads. So, once again, we left I-5 at Northgate…now we’re getting to be an expert at finding our way to downtown Seattle by going through Fremont! Anyway, the surgery has gone well, and the only event left is another post-surgery exam next week. That should be our last trip between Anacortes and Seattle for a while. Thank goodness! Boats for sale at the Cap Sante Boat Haven docks. There was a lot of activity outside the Cap Sante harbor office and entrance to the marina. We went for a walk to Cap Sante Boat Haven (http://www.portofanacortes.com/marina.shtml) this morning. 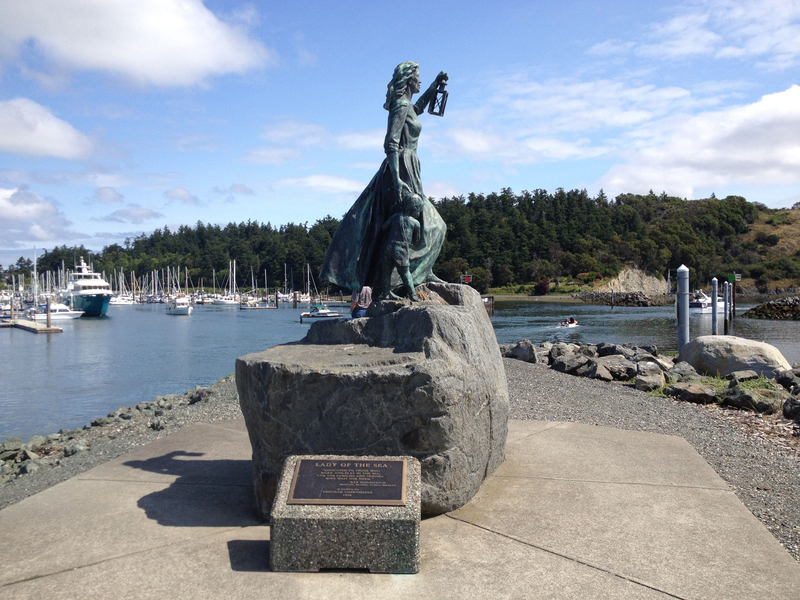 The Port of Anacortes is located at Cap Sante and there is always lots of interesting boat activity there. The morning started out foggy and things were still fairly wet, but the sun came out later and made it a pleasant day for a walk and to enjoy wandering around the boats at Cap Sante. 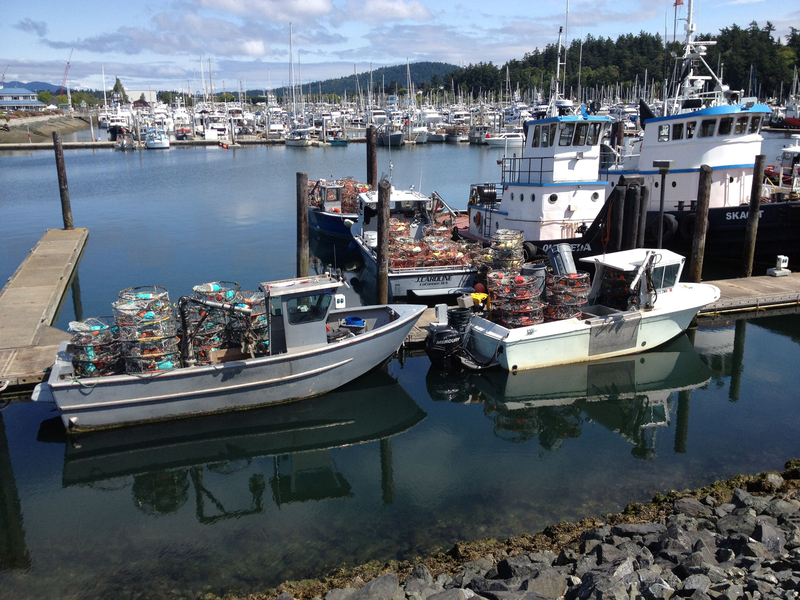 Four commercial crab boats loaded with crab traps and getting ready to go out. The Lady of the Sea waits at the entrance to Cap Sante Boat Haven. Next up for the boat is to tackle annual exterior maintenance…varnishing and waxing. The unsettled and wet weather will make that a challenge. Earlier this week, we found a couple of dry days to do a little of the waxing and got one coat of varnish on the teak before Friday’s rain. Rain is in the forecast for the next couple of days, but we’ll start up again on the varnish when the weather allows. 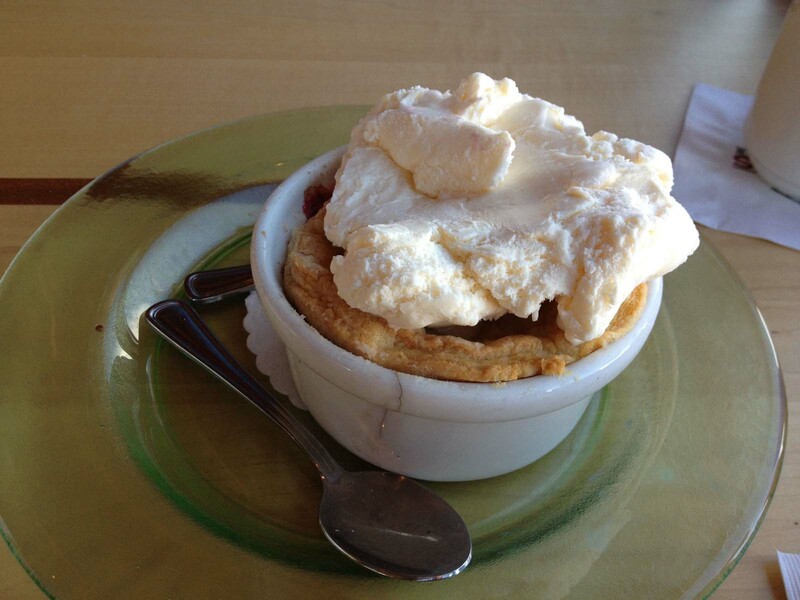 The blackberry cobbler was served warm with vanilla ice cream on top. 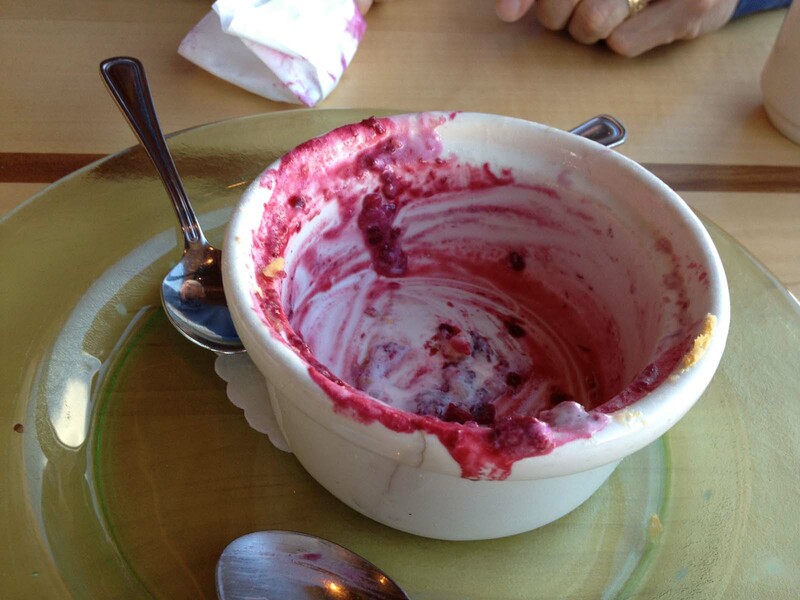 The berries were sweetened just enough…so tasty! So good, we ate the whole thing! Yesterday was our 39th wedding anniversary. 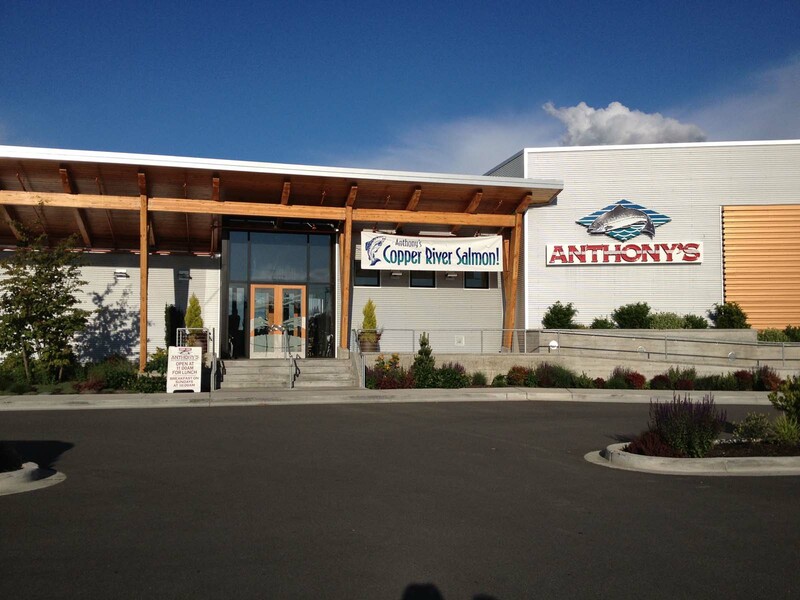 We enjoyed a celebration dinner at Anthony’s at Cap Sante Boat Haven. 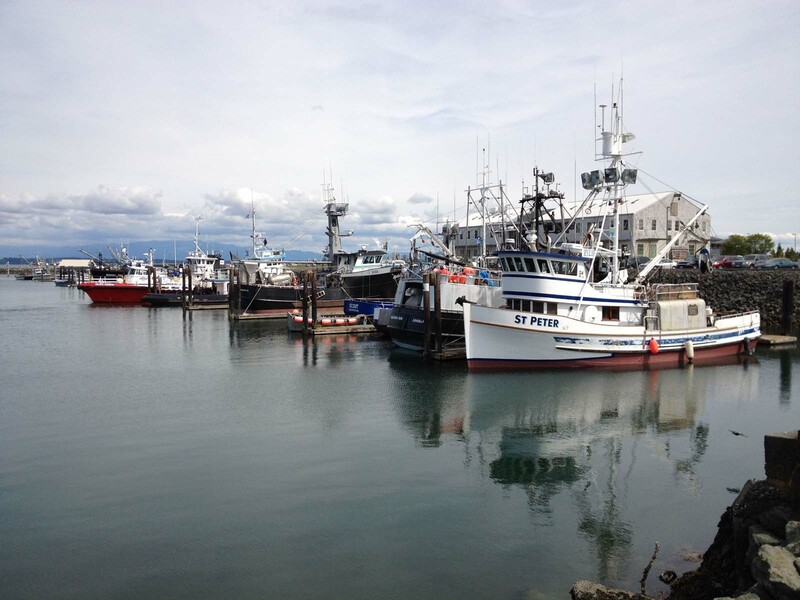 The restaurant, which opened in Anacortes in 2011, is walking distance from our marina, but due to the unsettled weather (thunderstorms in the distance and tall cumulus clouds overhead), we took the car. Jim had fried oysters and I had the Copper River salmon. Both were excellent. 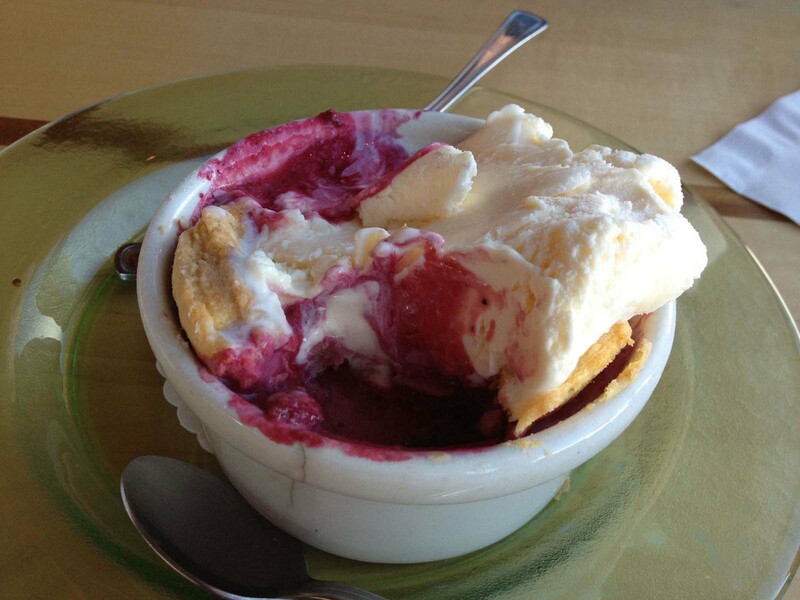 We don’t usually have dessert, but Anthony’s cobbler dessert specialty was too hard to resist…so we split a blackberry cobbler topped with vanilla ice cream…and ate the whole thing! Wonderful! 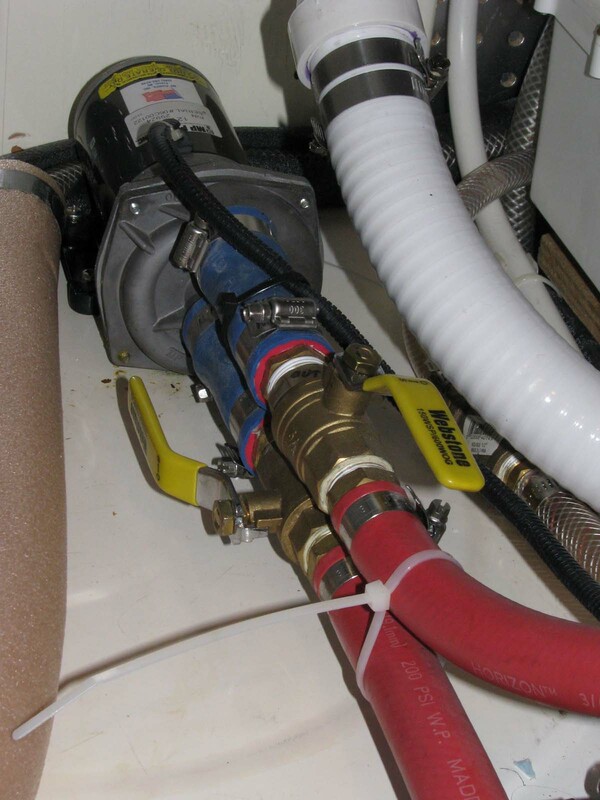 Webasto circulating pump and associated valves in the engine room. One of these valves was the culprit, and was turned off when it should have been on. 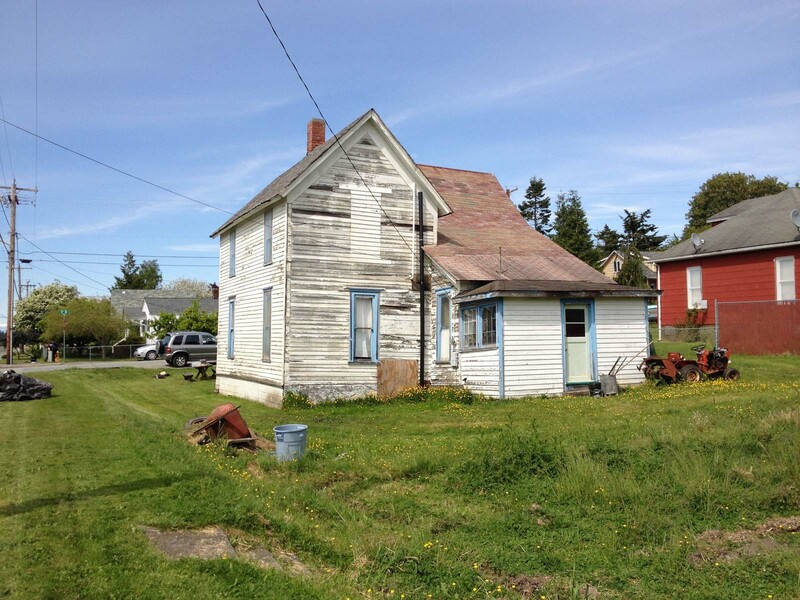 Small house in old downtown Anacortes…ready for some TLC. Last March when Jim came to the boat to check on things, the Webasto diesel circulating hot water heater started, ran for a while, and then quit and wouldn’t restart. So fixing the heater when we got to the boat has been high on our list of repairs. This morning it was 42 degrees, windy and cloudy. It was 56 degrees inside the boat. Wow, did we miss the warmth of the heater! We have small, electric space heaters mounted on bulkheads in the two lower cabins, so we weren’t completely without heat…but it takes a long time for the electric heaters to warm the boat. This was a good day to get the heater working. Jim discovered that one of the circulating pump valves had been accidently closed. This caused air to enter the system, thereby causing the heater to overheat and shut down. So today’s task was to bleed the air out of the system, add coolant as needed, and restart the heater. It took a while, but by mid-afternoon the air was out of the system and coolant had been added. Since the sun came out later in the day, the boat became too warm (go figure!) to test the heater, so we will test it tomorrow morning. While Jim worked on the heater, I walked to the post office. 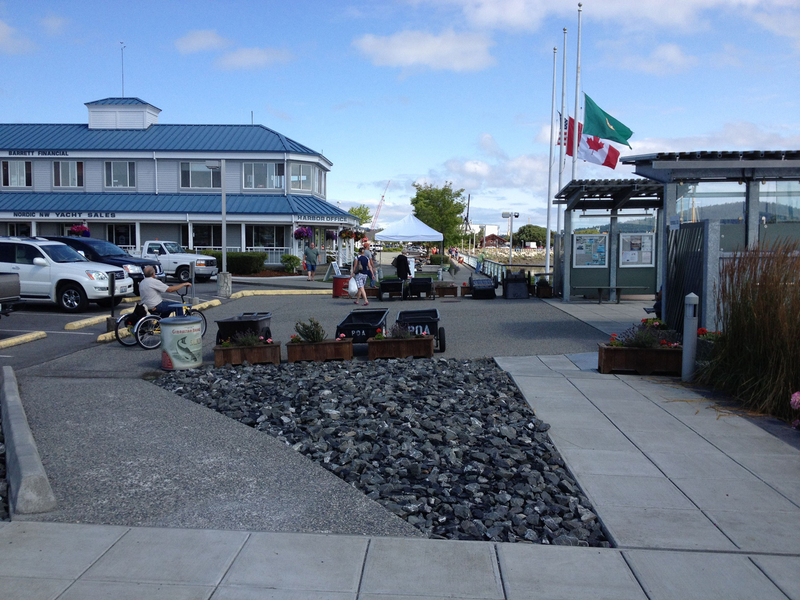 I headed north along the waterfront, past the nearby Cap Sante Boat Haven and back through some of downtown Anacortes. It was windy and cool, but sunny…so it was a nice afternoon for a walk.